Ken Thwaits has created a one stop shop for the men of Franklin. Named for the gateway between Nashville and Franklin, Franklin Road Apparel Company is a menswear boutique offering everything from well-made denim and flannels to shaving supplies and sunglasses. 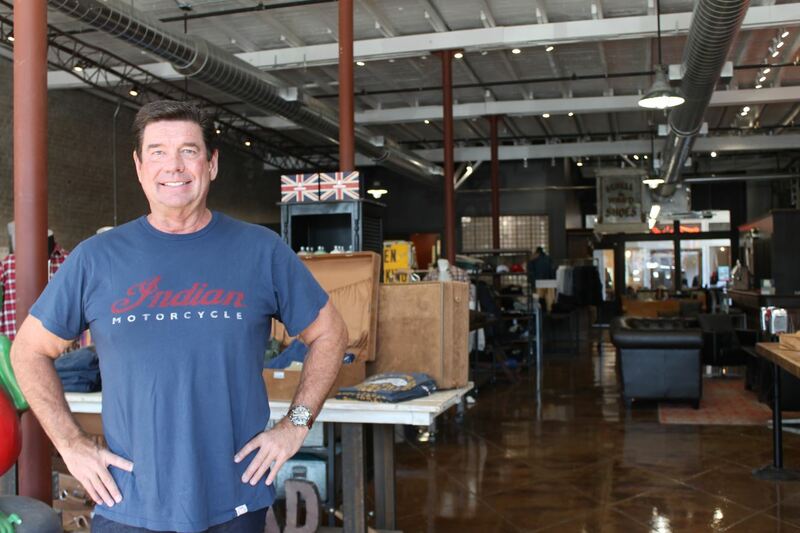 With roots in the automotive business, Ken had no previous retail experience before imagining Franklin Road Apparel, and yet you’d never know it. The Main Street shop is perfectly curated, with that charming blend of old and new that Franklin is known for. Ken has refurbished several elements of the original volunteer fire department hall, including a refurbished radio tower, which now serves as a light fixture and the firefighter cubbies, which now hold precisely folded denim and stylish knick-knacks for the everyman. For Ken, Franklin Road Apparel Company isn’t work. He loves what he does, and as the buyer of every piece of clothing and every accessory in the store, he believes in each item. Ken is building a community for the men of Franklin, complete with high quality goods and even a long wooden bar, which he hopes will one day serve craft beer. Franklin Road Apparel is located at 508 W Main St. and open seven days a week from 10:30 a.m. – 6 p.m. To learn more about Franklin Road and to shop online, please visit www.franklinroad.com.